How long do I have to live in Nebraska before I can file for divorce? You need to live in the state of Nebraska with the intention of making the state your permanent residence for one year prior to filing. If you have not, you may file for a legal separation, and convert this into a divorce later. The one exception is when you were married in Nebraska, have been married less than one (1) year, and have lived in Nebraska the entire time since your marriage. There is no restriction as to how long you have lived in Douglas County and only one party needs to reside in the county in which you file. A legal separation in Nebraska is identical to a divorce in all legal issues except that it does not end the marriage. Unlike an informal separation, a judge grants a legal separation, and court orders issued are enforceable as law. Legally separated couples can live apart, but they cannot remarry because they are still legally married. Any married person in Nebraska can file for a legal separation at any time. Typically, when a couple cannot meet the divorce residency requirements, they file for a legal separation instead. Like divorces, legal separations address issues such as alimony, property settlements, child support and child custody. Is there a mandatory waiting period in Omaha before a divorce or legal separation can be granted? You cannot ask the court to hear your divorce case until at least 60 days have passed from the time your spouse was served. (A) If the sheriff served your spouse in person, the 60 days begin to run the day after the sheriff served your spouse. (B) If you filed a Voluntary Appearance signed by your spouse, the 60 days begin to run the day after you file the Voluntary Appearance with the court. (C) If you served your spouse by publication, the 60 days begin to run the day after the last date the Notice of Divorce Proceeding was published in the newspaper. How can I serve my spouse in Omaha? If attempts to serve do not work, can I serve by publication? State law provides that service can be made by three methods: Voluntary Appearance, Praecipe for Summons, or Service by Publication. Court permission must be obtained before proceeding forward with Service by Publication. Service by Publication must be made in “some newspaper printed in the county where the complaint is filed.” Douglas County has several such publications. What are the specific forms I will need to file for a divorce in Douglas County? 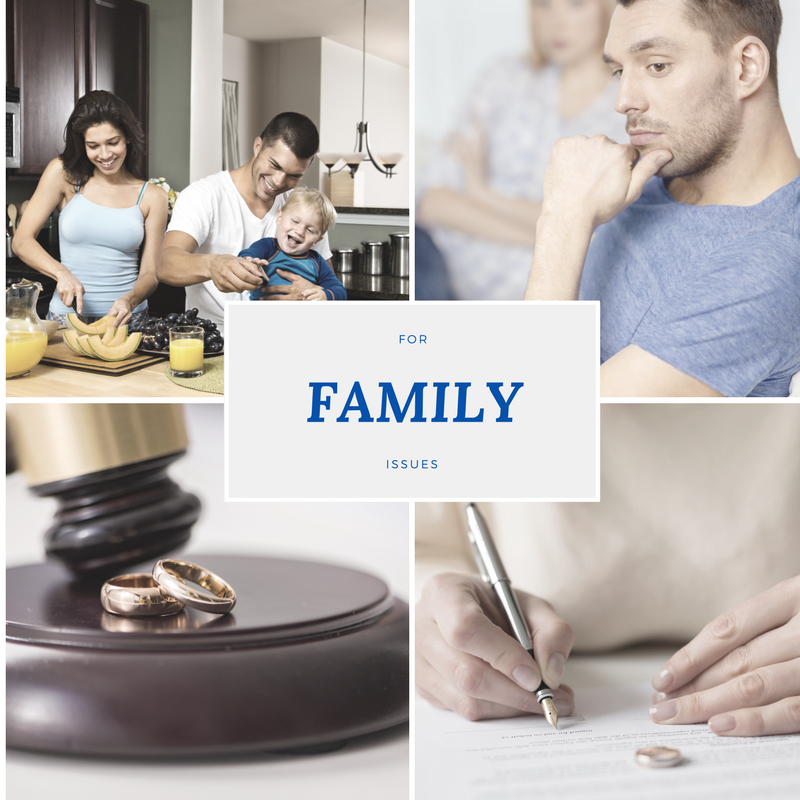 The forms necessary for a divorce in Douglas County are: Complaint for Dissolution of Marriage, Birthdate and Social Security Information Form, Vital Statistics Worksheet and a Confidential Employment and Health Insurance Information Form. Also, applications for spousal support or alimony must be accompanied by a statement of the party’s financial condition and the condition of the opposing party, if known. You can file your Complaint, and accompanying forms, on the 3rd floor of the Douglas County Courthouse located at 1701 Farnam St.
How much are filing fees at the Douglas County Courthouse? You will need to bring a check or money order for $158. Are there any Douglas County-Specific laws that are different from how other family law cases around the state are handled? If the parties to a divorce have children (either biological or adopted) and those children are minors who will be affected by the divorce, then the parties will need to participate in a court approved parenting education course and prepare a parenting plan. All parties are required to attend a basic level parenting education course sometime before the final hearing. You can obtain a list of court-approved parenting education course providers online (check the online list to verify that the course you have chosen is approved by the court) or from the Clerk of the District Court. Registration may be completed through the Conciliation Court by calling 402.444.7168. Mediation may be required by the judge to allow the parents the opportunity to work together at coming up with an agreeable Parenting Plan to determine issues such as legal and physical custody of the children and a visitation schedule. If the parties come to an agreement on a Parenting Plan without a mediator, then the Parenting Plan must be submitted to the Conciliation Court for approval. Will the judge make any determinations before the divorce is final? The parties to a divorce may request a “Temporary Matters Hearing.” In the event that a couple is separated or living apart during the divorce, it may be necessary to seek temporary visitation, temporary custody, temporary child support, temporary spousal support, or temporary attorneys fees. Generally, a temporary hearing cannot be set until a few days to a few weeks after your spouse answers the dissolution of marriage complaint. Unless a waiver is requested, the District Court will require you attend mandatory mediation prior to granting a hearing on temporary matters. How much Child Support will I either pay or receive? This is a complex question to answer and every case is different. Child support in Nebraska is based upon the Nebraska Child Support Guidelines. These guidelines provide a formula for child support that uses the combined monthly net income of each parent to arrive at a child support figure. Child support depends on a variety of factors, and there are additions and deductions from income that can significantly alter the child support amount. What if my spouse refuses to file an Answer, participate in a parenting course, or attend mediation? So long as the person who filed for the divorce has completed all of the requirements to obtain a divorce, he or she may file a motion for a final hearing to allow the judge to decide if the divorce should be granted. Often times the divorce will be granted in these situations. As noted above the soonest that this hearing can be set for is 60 days after the other party was served. How soon can I re-marry? If the judge signs the Decree and files the Decree with the Clerk’s office, the divorce will not be final for 30 days. Also understand that you cannot remarry anyone anywhere in the world until at least six (6) months after the decree is signed by the judge and filed with the Clerk’s office, unless your spouse dies.